The live action will release at Japanese theatres on 21st March 2015. "For Sensei, assassination is education. 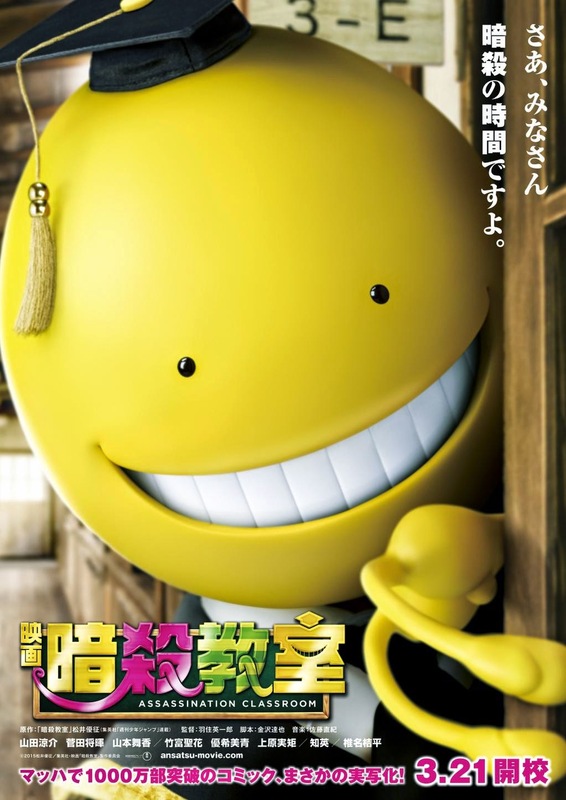 The sensei of the Assassination Classroom becomes stronger as he teaches." 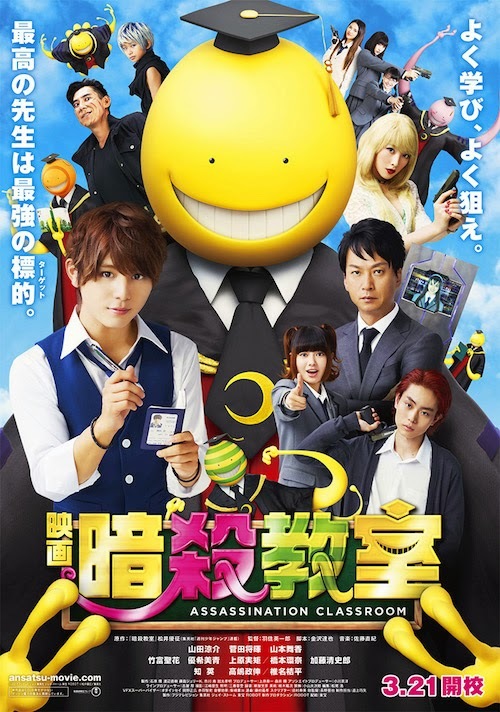 Just how will Koro-sensei's strength be shown in this live adaption of the hit series, and how much of the manga is going to cross into this movie? Live actions are known to go in different directions then that is depicted in the manga. Will Kori-sensei just become stronger (popularity) because of this movie? We just have to wait and see.